When speaking of people and personalities, it’s difficult to assess who is stronger or better. We all express our emotions and our values so differently. 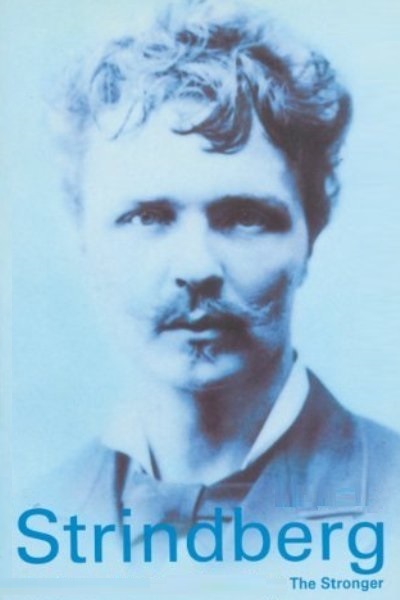 In his short play The Stronger, August Strindberg introduces two characters with conflicting ideologies and attitudes: the quiet Miss Y, who has had an affair with a married man, and the wife of said married man, the talkative Mrs X. In spite of their interest in the same man, these two women have nearly diametrical approaches to life and to adultery: Mrs X forgave her husband; Miss Y would not. Everything about Mrs X is overbearing. Even her physical appearance is heavy and showy. She enters the café, “dressed in winter clothes, carrying a Japanese basket in her arm”. The Japanese basket immediately stands out. It tells everyone at the café, as well as the reader, that Mrs X is from the upper class: she must be rich to afford such an exotic item. This social standing is also apparent in the things she talks about: “It makes me feel as I did one time when I saw a bridal party in a Paris restaurant.” Mrs X is showing off, gratuitously inserting her trip to Paris in the conversation. However, Miss Y (or Amelia) barely responds to Mrs X’s provocations. Her biggest reaction is when she “looks up scornfully”. She isn’t intimidated by Mrs X’s rants. She “laughs loudly” and freely when Mrs X “makes the slippers walk on the table”. Her ease in this ordeal hints that Miss Y may be in control of the situation. Her silence seems deliberate. It threatens Mrs X: “And why are you always silent, silent, silent? I thought that was strength.” Miss Y has more influence than Mrs X. This is apparent in the lifestyle and habits of Mrs X’s husband: “That’s the reason why I had to embroider tulips—which I hate—on his slippers, because you are fond of tulips; […] that’s why my boy is named Eskil—because it’s your father’s name.” Obviously, Miss Y has had a stronger impact on him, yet it is with Mrs X that he shares his home. Mrs X was capable of forgiving her husband, and this forgiveness is the fundamental difference between the two women. Miss Y was once in a similar situation but made the opposite decision: “you [Miss Y] would have done better to have kept him! […] I was the first to say ‘Forgive him.’” The two women now live the consequences of their respective choices: Mrs X has financial security, a home, and a family, while Miss Y sits in a café, drinking beer, “alone on Christmas eve”. At first glance, Mrs X appears to be the winner. However, she betrays this illusion by coming into the café. Mrs X enters the establishment, on Christmas Eve no less, for no other reason than to flaunt her superiority to Miss Y: “Thank you for teaching my husband how to love. Now I’m going home to love him.” If she were truly confident about her marriage and herself, she would not need to confront Miss Y in this manner. This level of vindictiveness is a sign of insecurity, of weakness. Mrs X and Miss Y made very different choices in life, especially regarding adultery. Mrs X forgave; Miss Y did not. Their respective reactions to adultery have given them completely diverse lives: Mrs X is rich and has a family, while Miss Y is poor and lonely. Though social standings would put Mrs X in and advantageous position, ultimately it is her need to declare her superiority that makes her inferior.